Spend the points you've made from buying Switch games... on more Switch games! From tomorrow you’ll be able to exchange the gold points you have already earned on your My Nintendo account for money off purchases from the Nintendo eShop. Points are added to your account every time you make a digital purchase from the eShop or register a game cartridge on your Switch console. 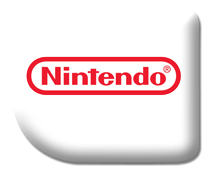 Nintendo has placed an incentive to purchase directly from them, offering 5x the amount of points per pound spent when opting to go digital. With 1 Point equating to 1p of credit and with a 1:1 ratio on Pounds spent to earned when buying physcial, a £40 title will net you 40 points with a boxed copy or 200 points when bought digitally. This exchange rate goes live tomorrow and is currently a lot lower, if you were looking to make a purchase it may be best to hold off for one more day. While purchasing digital looks like the way to go to earn a few quid, it would be probably best to remember that physical titles are usually always cheaper, require less space on your consoles internal memory and also can be sold on when you are finished with them.